My brother, Matt, spent 10 days stuck in Utah with car trouble. With an extra body in the house for over a week, we got creative with our meals. 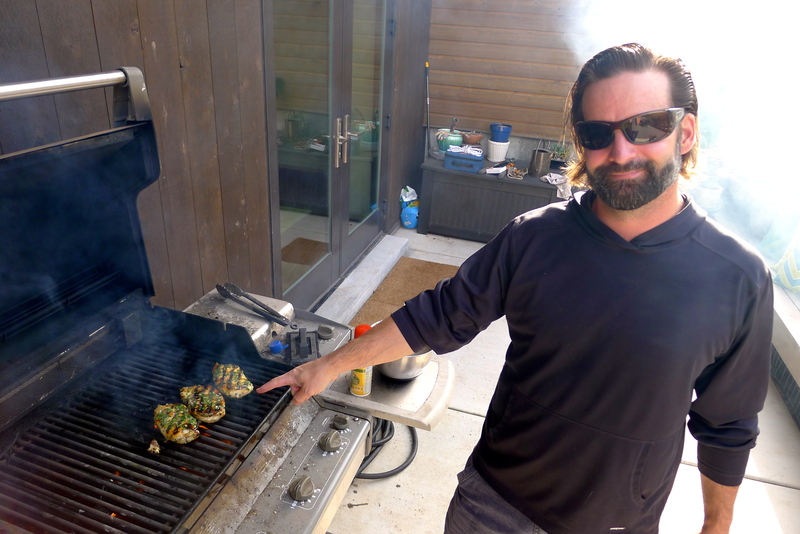 We ate well: grilled pizzas al fresco, juicy burgers and corn on the BBQ, mixed berry sour cream ice cream, citrus-honey shrimp and veggie skewers, skillet Philly cheese steak sammies, and a few nights out for dinner. But these Thai chicken tacos win the prize. I’d already picked up the ingredients to make a Thai chicken salad. Big salads for dinner are part of our summertime rotation, but I wasn’t sure that would be enough food for the boys. 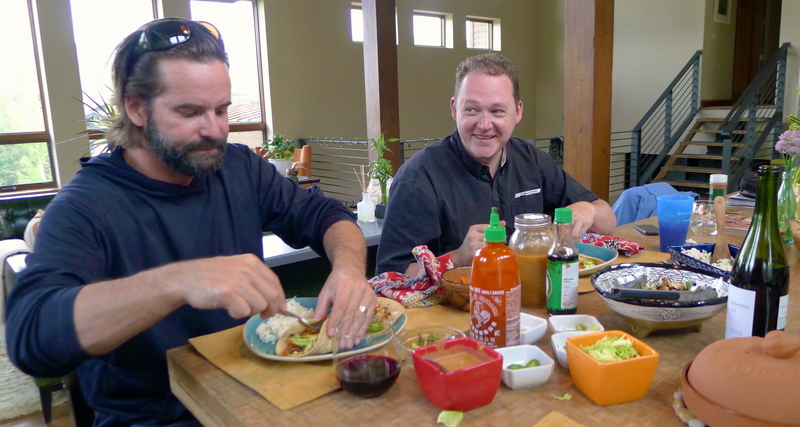 With a few tweaks and a little imagination, these tacos turned out to be spectacular! 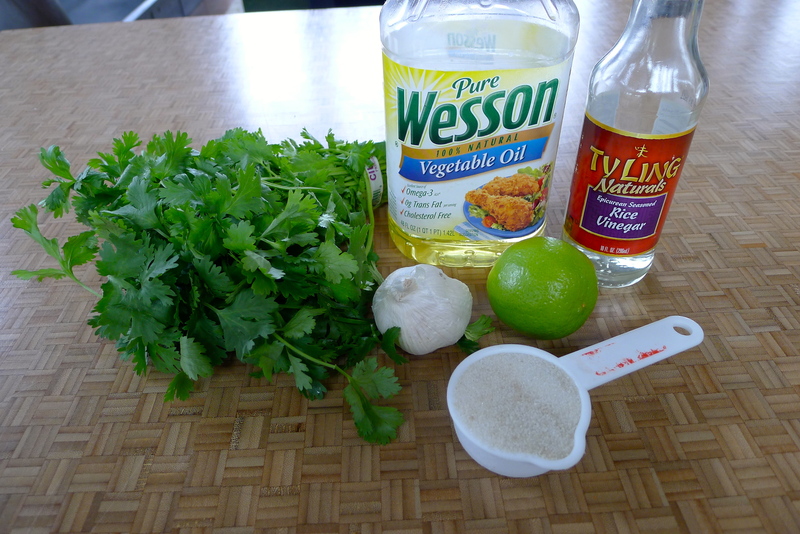 I started by marinating a few chicken breasts in a mixture of vegetable oil, rice vinegar, sugar, garlic, cilantro, mint, and lime juice. 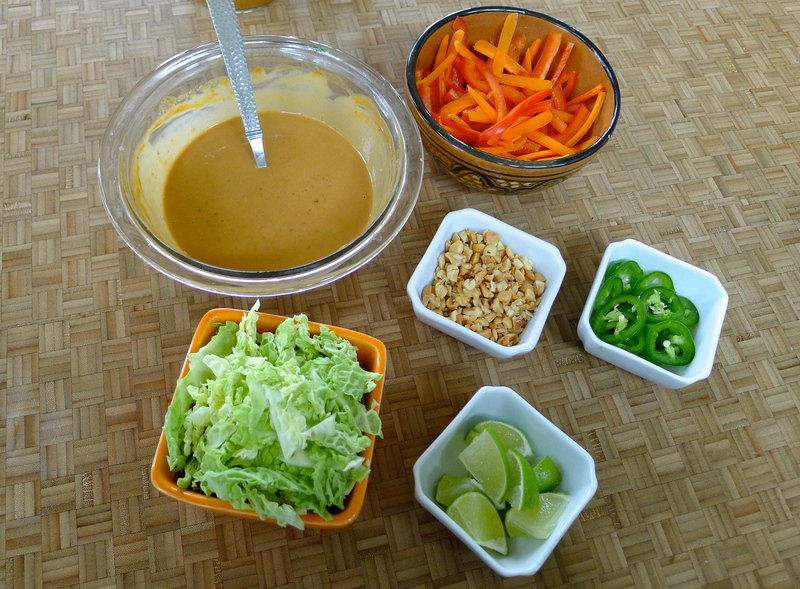 Next, I made a spicy peanut sauce to drizzle over the tacos. 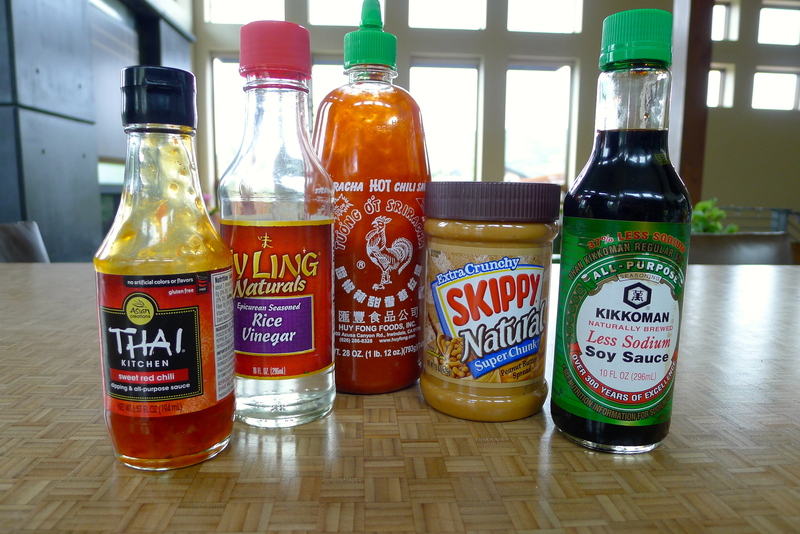 I used Thai sweet chili sauce, rice vinegar, peanut butter, soy sauce, Sriracha, lime juice, and a little coconut milk. Sweet, salty, spicy. Yum. 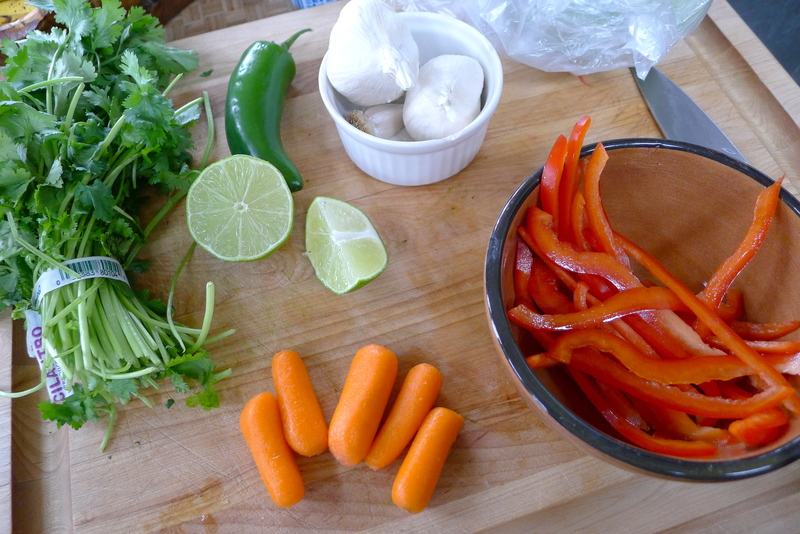 The fun part about taco night is all the fixings; everyone can decide the very best combo for the most delicious taco. 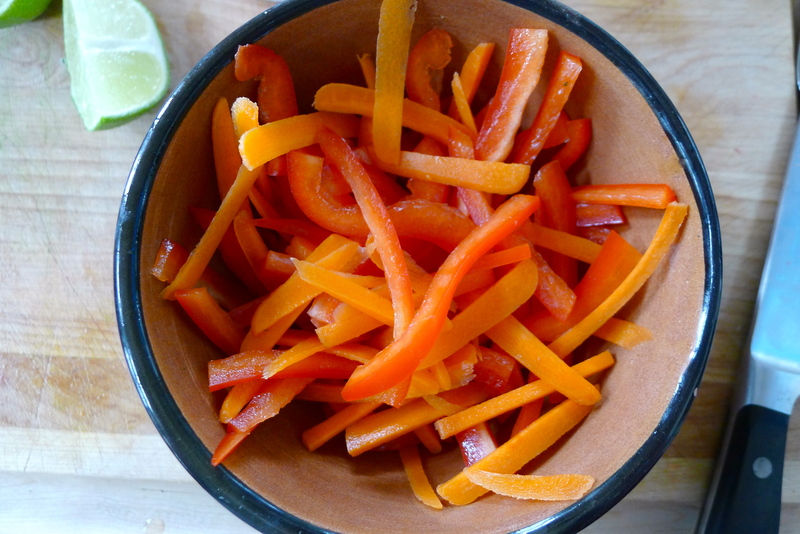 So I just prepped anything that sounded like it would be tasty on a Thai taco: thinly sliced red pepper and carrot, shredded Napa cabbage, sliced jalapenos, chopped peanuts, lime wedges, chunks of avocado, chopped cilantro. 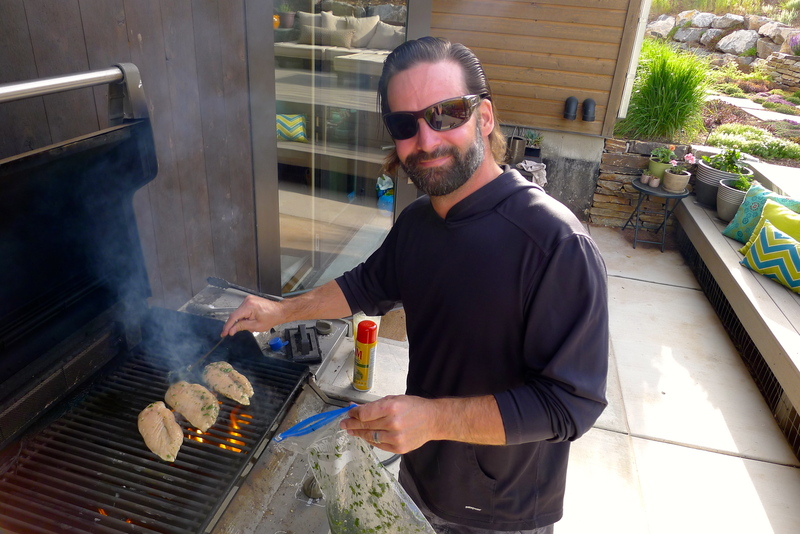 While John grilled the chicken, basting it with the marinade all along, I made coconut-lime-cilantro rice and warmed some tortillas. Game on! I used every available topping on my taco, and it was amazing. 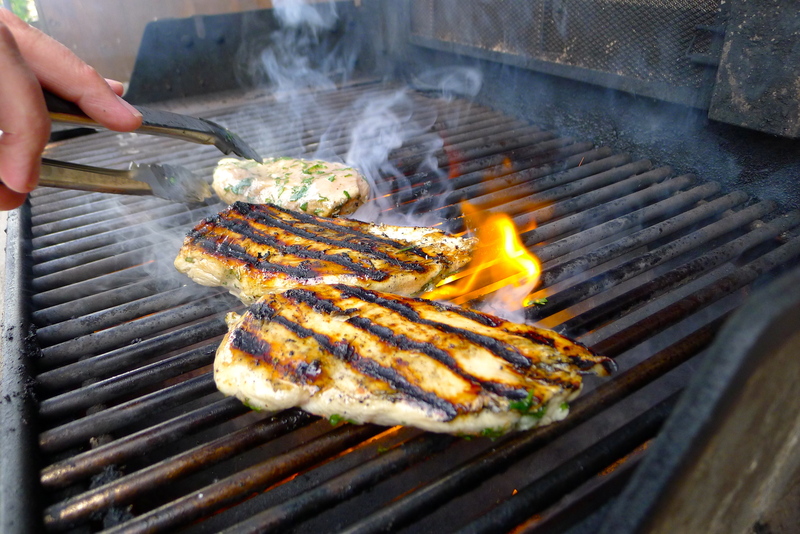 The marinade flavor really comes through in the chicken- it’s a new favorite for sure. 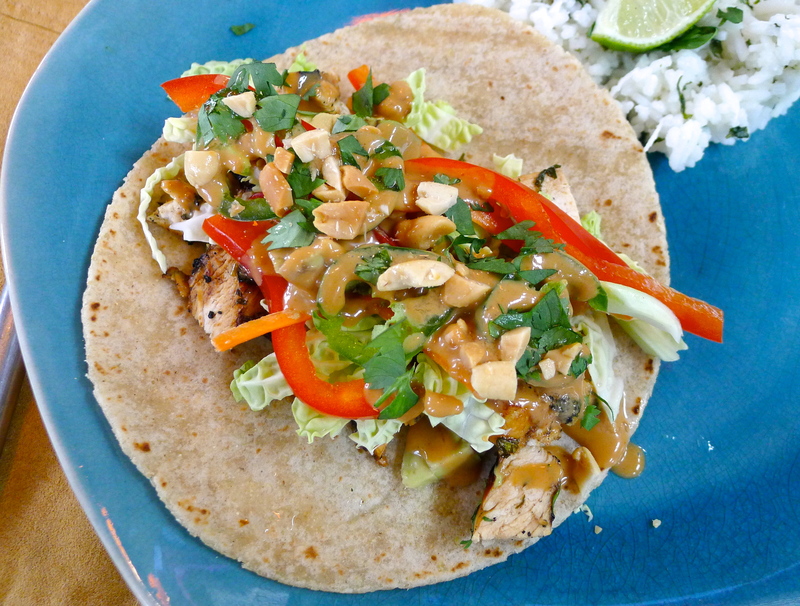 The peanut sauce added the Thai to the taco. 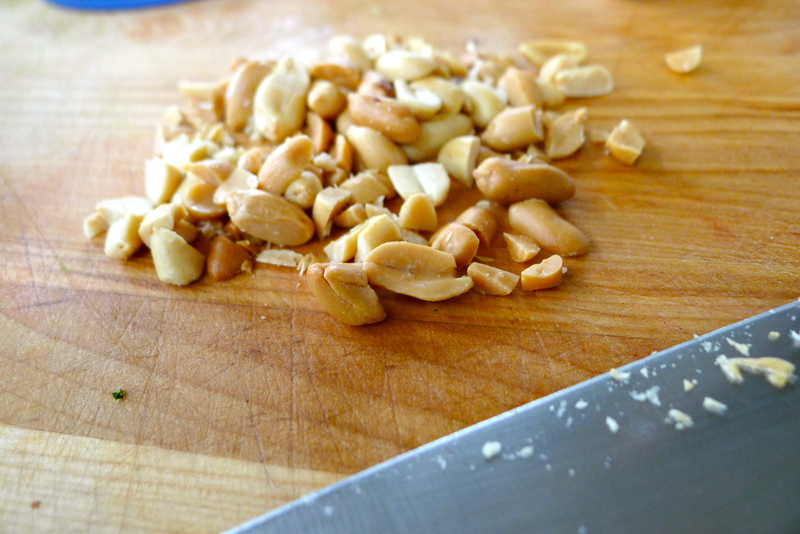 I loved the crunch of the fresh veggies and peanuts. I added an extra drizzle of Sriracha for more heat. I asked the boys what I should change to make the tacos better, and they just shook their heads, their mouths too full to speak. We ate tacos until we ran out of chicken and tortillas. I’ve been thinking about them since we ate them- they were that good. I think I should make them again this week…and I think you should, too. 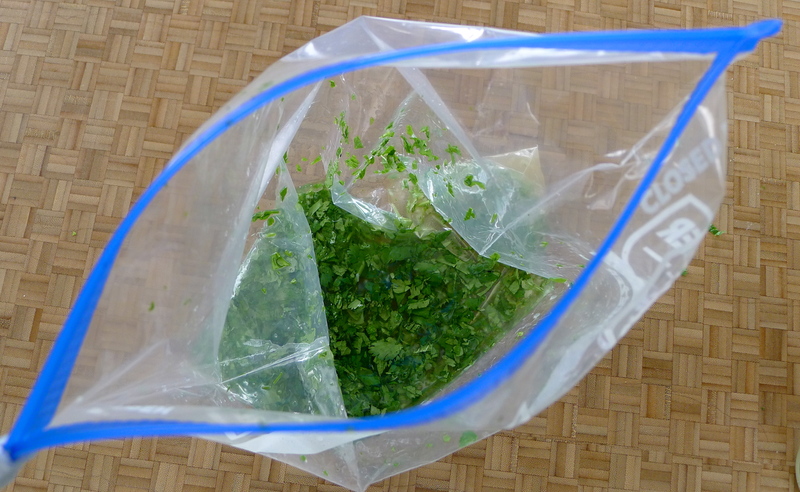 In a ziplock bag, combine the ingredients for the chicken marinade and add the chicken. Rub the bag around so that the marinade coats the chicken and let it sit in the fridge for a couple of hours before grilling. Chop up the cooked chicken and top with cilantro. 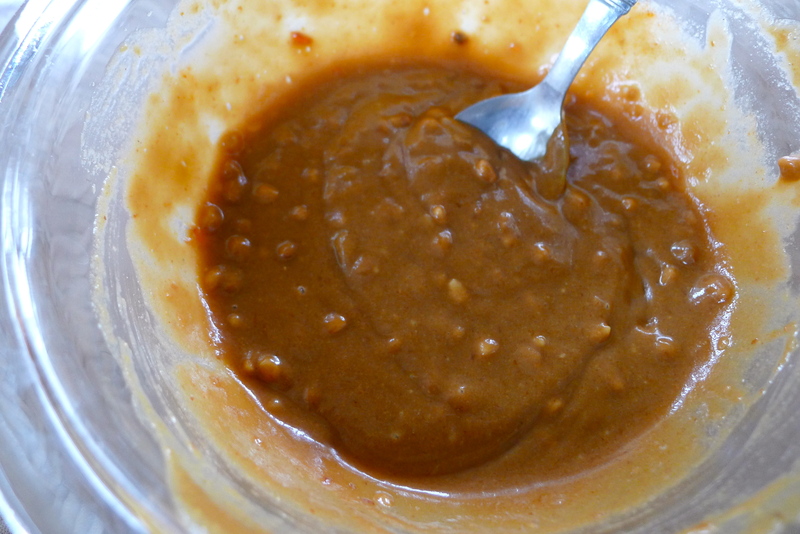 In a small bowl, combine the ingredients for the peanut sauce and adjust to taste. 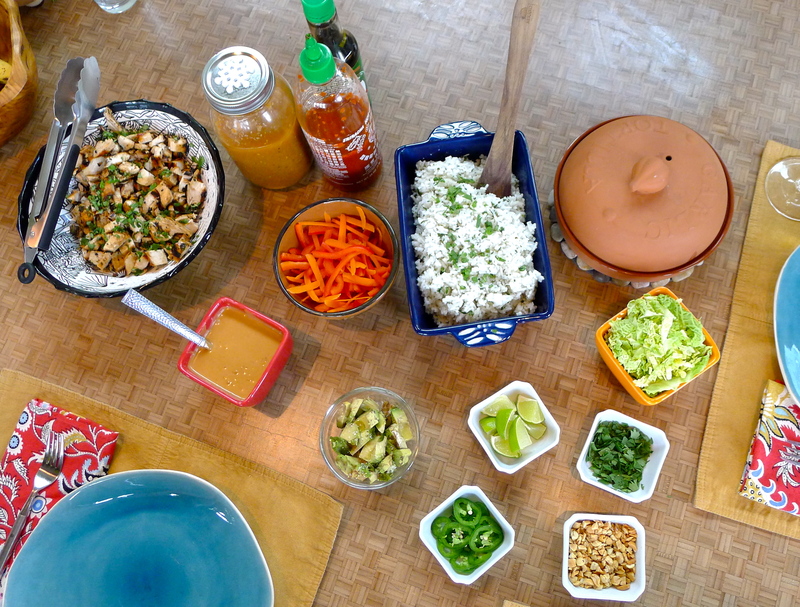 Serve with the chicken, all of the taco fixings, the peanut sauce, and some rice. 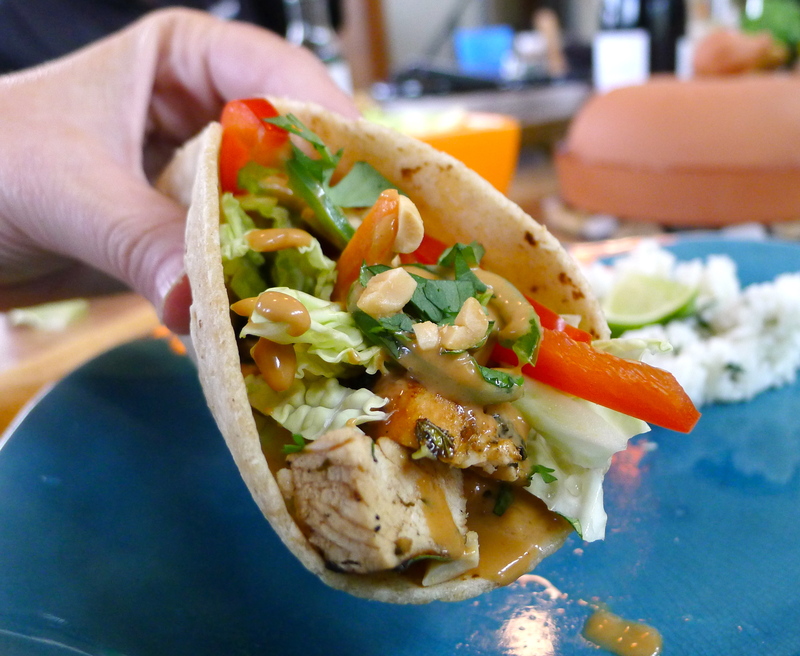 Assemble your taco by piling every possible fixing onto it and drizzle peanut sauce over the top. Dig in and don’t expect leftovers. Yum! Hungry for more? 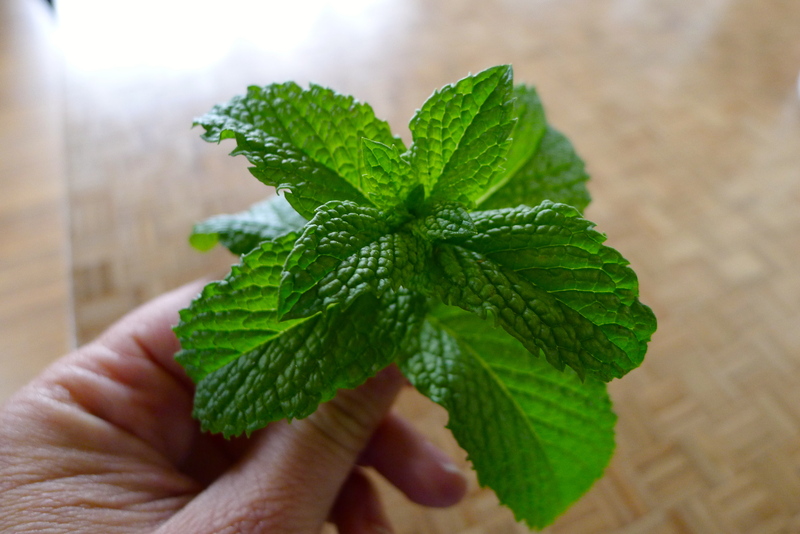 Check out the collection of recipes on the FOOD BLISS link. 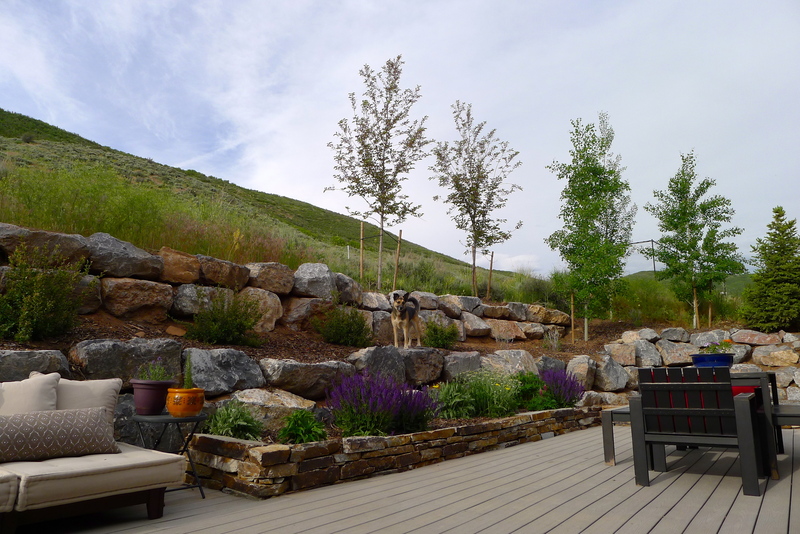 One year ago: John and I felt like true locals at Park City’s Savor the Summit event. Excuse me while I wipe the drool from my mouth before I type… this is my kind of taco, we’ll be trying this recipe for sure! Traveling this week but having a party in the Avenues next weekend for the holiday! This will def be featured! Yummy! People will love these!